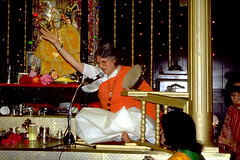 Bhakti means devotion. Just as some people are inspired to seek wisdom, others are more naturally disposed to devotion as a spiritual path. The word bhakti, from a root meaning “to share,” conveys the sense of “sharing” inherent in the love of God. Not only does the devotee love God, but God, they say, loves the devotee. 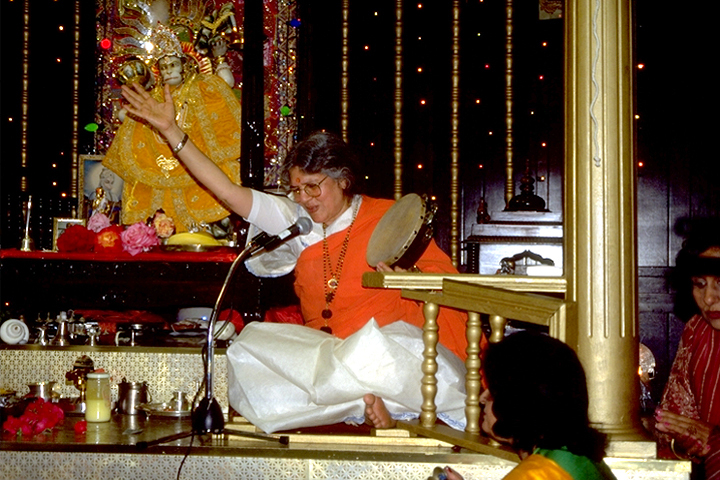 Bhakti is expressed in many ways—in songs and hymns, in temple worship, in dance and in plays. The love of Krishna is sung in popular chants of the Lord’s name, such as “Hare Krishna!” “Praise to Krishna!” and in bhajans or popular hymns. In the Bhagavad Gita, Lord Krishna reveals that expensive fire altar rituals are not necessary to honor God. “I accept the offering, even of those who give me a leaf, a flower, a fruit, or some water with devotion,” says Krishna. Every day in temples and homes throughout the world, Hindu devotees make such simple honor-offerings to Krishna and to other deities. They present fruit, flowers, water, and sweets, and they receive these gifts back again, as the blessing and grace, the prashad, of God. Dance is also a form of devotion. 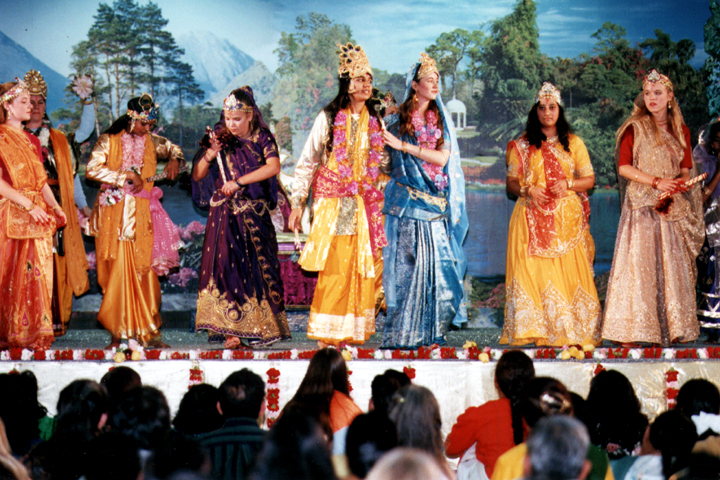 Krishna devotees in India and in America will often dance as they sing kirtan. Indian classical dance also has a devotional context. Shiva as Nataraja is Lord of the Dance and is sometimes depicted in the energetic, balanced, and beautiful pose of a dancer. In his dances, he creates the universe and destroys it, absorbing the manifold creation back into himself. At the outset of an Indian dance performance, the dancer may honor one of the Gods with an invocation. The dancer may create through gesture and movement the very image of Krishna, so that the audience may experience the feeling of devotion. 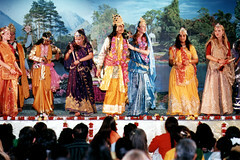 Or the dancer may become Krishna’s beloved, so that the audience may taste the yearning she has for Krishna.